An Internal Window Screen, Oxshott, Surrey. The brief for this window was to provide interest at all times of day, from both sides. 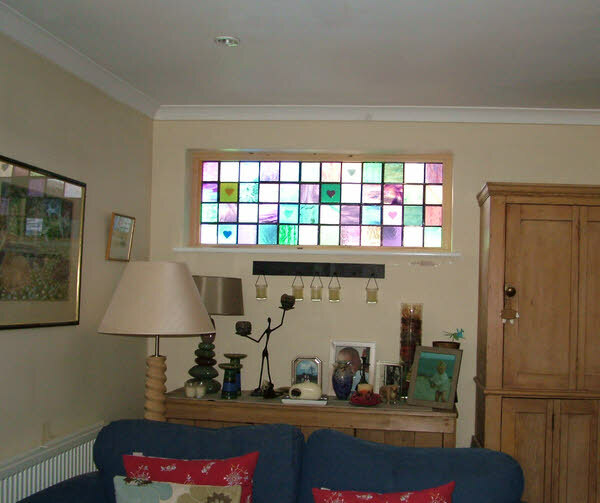 The customer’s preference was to make the window up in squares like a patchwork. 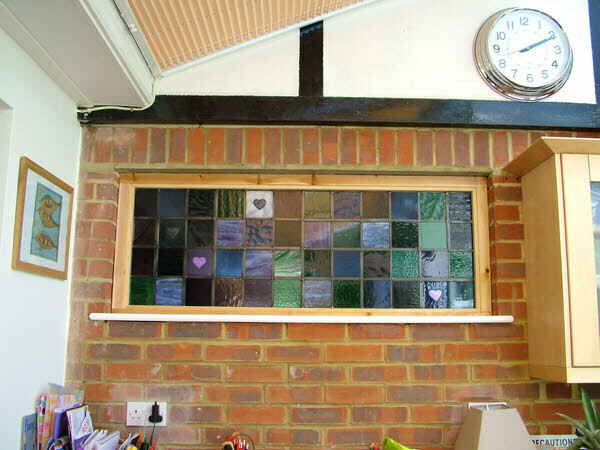 This window provides a screen between the new kitchen extension and the living room. My design incorporates many of my favourite things in glass, a good combination of colours, textures and all set within a patchwork theme. I chose my palette of steel blues, soft purples and green /turquoise glasses following a visit to my customers house where I had seen a sample board of tiles. Some of the glass I chose has opalescent swirls within it which work fantastically day and night with both transmitted and reflected light. 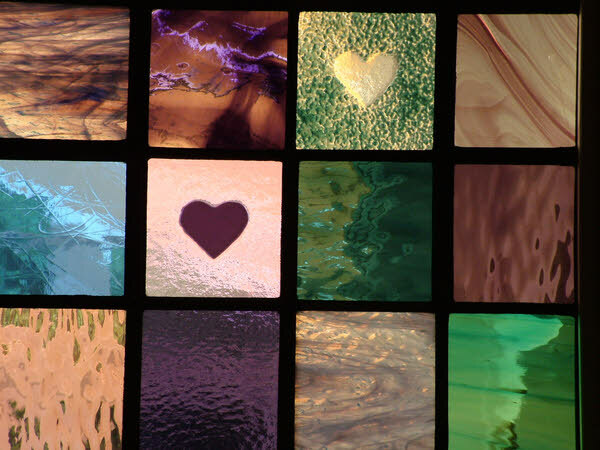 The fused glass hearts were requested by the customer after having seen my other work which includes these. They are leaded so that some face into the living room and some the breakfast room. To make the grid of lead more interesting I varied the widths from a strong 16mm to a much smaller 6mm. The window is a great success and gives something new with each time of day.